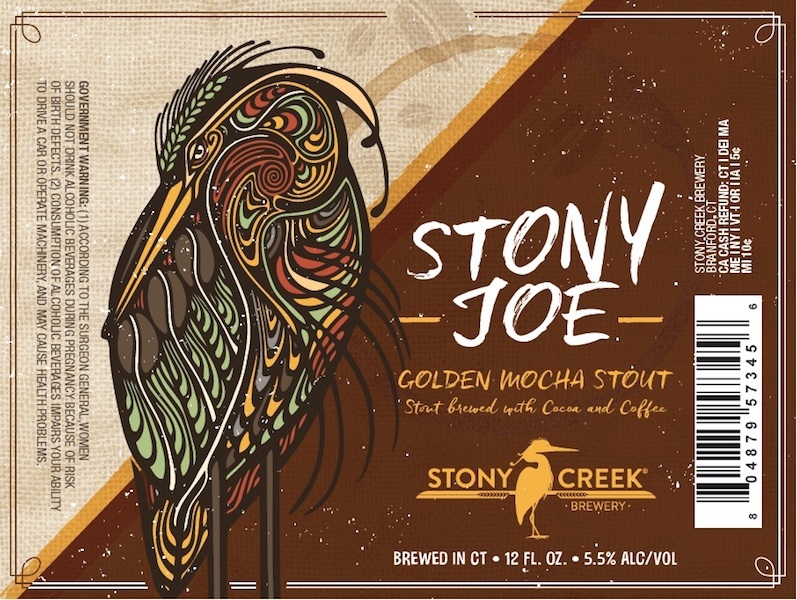 (BRANFORD, CT) – With their most innovative product to date, Stony Creek Brewery has released Stony Joe Golden Mocha Stout featuring locally roasted coffee and cacao nibs. The result is a coffee beer infused with roasty sweet mocha flavors, the silky texture of a milk stout and a shockingly golden color that seems impossible to comprehend. Stony Joe is serious fun. The Guatemalan coffee, roasted locally by Redding Roasters of Bethel, CT, was chosen for its hints of fruit, and smooth chocolate notes. The roast character was carefully crafted to produce mocha-like flavors in this blended beer. It is as welcome in the taproom as it would be with a plate of pancakes at the diner. To that end, Stony Creek launched the beer with a full retro diner experience held in the fictitious Stony Joe Diner (Stony Creek Brewery’s taproom), complete with bartenders dressed as diner waiters, wearing retro aprons, paper diner hats, and pouring Stony Joe from coffee pots. Stony Joe is available year-round in 12 oz. six-pack bottles and draught. An imperial version blended with Burundi Mpanga coffee, giving it notes of cocoa, spice and fruit, is also available in very limited quantities in 16.9 oz. bottles at the brewery. For more information on Stony Creek Brewery visit them on Facebook at www.facebook.com/StonyCreekBeer or visit the Stony Creek Brewery website at www.stonycreekbeer.com.